I’d like to drastically switch gears in this article. Last week I had a lot of fun joking about Roland Emmerich, but in honor of the Fourth of July holiday, I would like to talk about America. Specifically about Hollywood’s take on American history. In 1994, Forrest Gump became the year’s sleeper smash, out-grossing every other film, including The Lion King. What was the film’s secret? It struck a chord with millions of Baby Boomers because it both lionized and poked fun at their legacy. Wouldn’t you know it, the following year Hollywood tried to recreate Forrest Gump’s runaway success by producing the film Mr. Holland’s Opus. At first glance, these two films might seem like they have nothing in common except that they take place in roughly the same era. But I’ll show you that they actually have quite a bit in common. Not enough for a full Movie Matchup, but enough to make a solid Battle of the Message Movies. So let’s begin. The message is basically the same in both films: America has changed a great deal from the 1960s to today, for better and for worse, and all of that change has come about through ordinary people’s actions. These films try not to take a stand on if the changes they portray are good or bad by using an interesting plot device: the main character is detached from important events, even as he participates in them. In Forrest Gump, the titular character is slightly mentally handicapped, so it’s like he’s in a perpetual state of innocence. He can learn and grow from his experiences, but he can’t really be held responsible for some of his choices because he doesn’t always know better. Over the years, he meets people seemingly at random and has a huge impact on their lives. The point of the film is that maybe these random occurrences aren’t really random at all, but they are all being guided by Divine Providence. Mr. Holland’s Opus takes a similar approach to It’s a Wonderful Life: one man is stuck in a job he never wanted, but he learns what a big impact he has had on people in his community thanks to his heroic efforts over many years. He spends years tinkering with a musical score that eventually comes to signify both his failure as a composer and a summary of the collective experiences of his generation. Before I get into the details of these two films, I’ll talk about an interesting similarity between their directors. They both scored hits early in their careers with popular time-travel films. Robert Zemeckis’ career took off when he directed films aimed at a younger audience, though with a definite adult sensibility, like Back to the Future and Who Framed Roger Rabbit. Forrest Gump represented his first foray into more mature material. Stephen Herek is probably most famous for directing Bill and Ted’s Excellent Adventure, which he followed up with The Mighty Ducks and The Three Musketeers, all of which were popular with kids, myself included. Mr. Holland’s Opus, rather than being the first of a string of more mature films was just a blip in his career. He reverted to the mediocre 101 Dalmatians remake the following year, and the dreadful Eddie Murphy vehicle Holy Man two years after that. And it was all downhill from there. Back to the Future and Bill and Ted are good movies, though they’re definitely in completely different classes. BTTF is a genre-defying masterpiece that is equal parts comedy, science fiction, and drama. 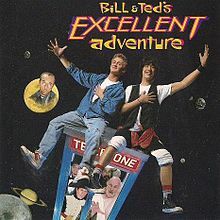 Bill and Ted is a biting satire on 1980s culture. Rock and Roll music will align the stars and enable interspecies communication? That’s a sad commentary on our legacy. This is significant to this discussion because Forrest Gump and Mr. Holland’s Opus effectively transport audiences to the past and they span decades of tumultuous social and cultural changes. A lot has changed in the last half-century. Some call it progress while others call it backsliding. I first saw Mr. Holland’s Opus with my parents when I was a child. My parents are both from the Baby Boom generation. They had a lot to say about this film, and the thing that stuck out the most to me was that they said this movie doesn’t provide any explanation for how standards changed over the years. Early in the film we see two girls who are sent home because their skirts don’t cover their knees, and later we see a student come to class stoned on drugs, and he isn’t punished for it. He is punished for his lack of passion for music, but being under the influence of illegal drugs is apparently fine at that point. Forrest Gump doesn’t dwell so much on social change, though it does present hippies, Black Panthers, and other counter-culture groups in more-or-less positive lights. That’s a big thing these films have in common: they see authority as stifling liberty, like in the case of Jenny’s abusive father or Vice Principal Wolters’ attempts to thwart Mr. Holland’s creative teaching style. The main character isn’t necessarily responsible for the changes, though he does participate in some efforts to challenge authority. But once the floodgates are opened, change happens in a hurry. A son is born with a disability that presents a major problem for his parent. In Forrest Gump, Forrest is unable to qualify for regular school, so his mother makes extraordinary sacrifices to make sure he gets every opportunity to succeed in life. Mr. Holland is a serious music lover, so he is heartbroken when he learns that his son Cole is almost entirely deaf. He thinks Cole will never be able to appreciate music the way he does, but he is proven wrong as his son makes extraordinary efforts to bond with his father and understand what music is, even though he can’t really hear it. As a side note, Forrest eventually has a son who turns out to be completely normal and intelligent. This is such a relief to Forrest, but it’s also a heavy responsibility for him because he doesn’t feel qualified to help his son reach his full potential. But he just takes it one day at a time, which by itself is inspiring and touching. I know from experience that parenting is not easy, even for an educated individual as myself. So I am amazed by the courageous efforts people make to raise strong families. Physical handicaps are taken seriously in both films. Forrest isn’t the only one with a disability. He saves the life of his superior officer Lieutenant Dan in Vietnam, but Lieutenant Dan suffers terrible injuries that result in having both of his legs amputated. At first, he laments the fact that Forrest saved him and he wishes to die. But after a few years, he accepts his disability and even gets prosthetic limbs to allow him to function normally. Mr. Holland buries himself in his work as his family life deteriorates. He doesn’t want to take the time to learn sign language to effectively communicate with his son. But something changes after John Lennon dies. 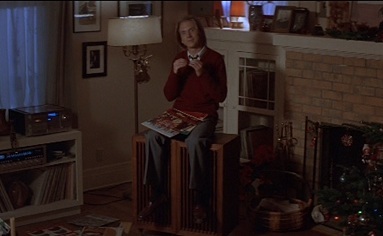 The event brings the father and son closer together, and Mr. Holland finds a way to visually express his music to Cole, and he even sings to him in a particularly moving scene. Cole finally becomes a person to Mr. Holland at that point, and not a problem. Both films present the Vietnam War in unique ways. Forrest Gump transports the audience to Vietnam for a short time, though the focus always remains on Forrest, showing how the sad experience affects him. At one point, a black soldier, who is at about the same low intellectual level as Forrest, gets killed in a firefight. 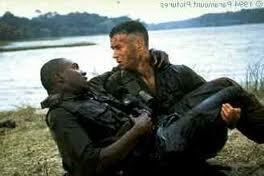 Forrest and Bubba were friends, and Forrest holds his comrade as he dies. We’ve gotten to know Bubba for a while, and we grieve for him, even though Forrest can’t. Mr. Holland is a high-school teacher during the Vietnam War, so he unfortunately has to see several of his students get drafted, uncertain if they will live or die. One year, he spends a lot of time helping a gifted athlete named Louis succeed in his class so he can improve his GPA and participate in sports. By the way, Louis is played by a young Terrence Howard, of Iron Man fame. Unfortunately, Louis is sent to Vietnam, and he doesn’t make it back alive. 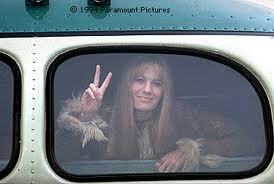 This is a particularly effective part of the film because we don’t have to go to Vietnam to see its effects. Louis’ parents are devastated and so is Mr. Holland. It’s terrible to see promising young men die for a cause that is barely even mentioned in the film. Music effectively conveys the emotions of the films. Forrest Gump and Mr. Holland’s Opus are the only films I know of that have both an original motion picture score and a soundtrack full of songs that are all used in the films themselves. Sure, Spider-Man and other films today sometimes have an album full of songs “inspired” by the film as well as the original score, but that’s different. Forrest Gump and Mr. Holland’s Opus are chock full of Oldies songs, and they also have superb compositions by Alan Silvestri and Michael Kamen, respectively. The main theme of Forrest Gump is beautiful in its simplicity. It expresses Forrest’s timidity as well as his triumphs throughout his life. Mr. Holland’s titular opus is a sweeping musical piece, capturing the grandeur of American history and optimism for what lies ahead. When it comes down to it, Forrest Gump and Mr. Holland’s Opus are saying that one person can make a big difference in the world in small ways. Everyone Forrest meets is better for having known him. This is nicely shown in the wedding scene between him and Jenny when Lieutenant Dan shows up and shows how happy he has become. Mr. Holland’s Opus one-ups Forrest Gump by having a climax in an auditorium full of hundreds of people Mr. Holland has helped during his 30-year teaching career. They all express their gratitude to him so he won’t feel like a failure, and then several of them join together to play his signature theme. It’s a great summation, and it hammers home the importance of everything we spent the last two hours watching. Neither Forrest Gump nor Mr. Holland’s Opus is my favorite film of all time, but they’re definitely worth a watch. Mr. Holland’s Opus is a more satisfying experience, in my opinion, because it has a much better conclusion and a more focused narrative. As Forrest says, you might not know what you’re gonna get in life, but you can know what you’re gonna get with these two films: some darn good entertainment and a powerful message, too. All images from Forrest Gump and Mr. Holland’s Opus are the copyright Paramount Pictures and Hollywood Pictures, respectively. This entry was posted in Message Movie Battle and tagged america, films, forrest gump, history, movie review, movies, music, soundtrack, united states, vietnam war. Bookmark the permalink.